When you’re looking to do some home remodeling, you’ll need a contractor who understands the ins and outs of drywall and plaster. That’s where Alpine Insulation comes in. For 40 years, we’ve been providing plaster repair and installation services to our customers in Milwaukee, Madison, Green Bay and the surrounding areas. With our experience and dedication to customer service, you won’t find a more suitable plaster contractor. To learn more about how Alpine Insulation can help you with plaster repair and installation services, call (866) 261-1090 or contact us online. A veneer plaster system is a substantial step-up from conventional drywall. Plaster offers 100 times the abrasion resistance of drywall and four times more indentation resistance than drywall. The finished plaster surface is less susceptible to scuffs and scrapes. Veneer plaster wall systems can withstand the abuse and are considered a 100-year wall system. In short, plaster makes walls harder, stronger and more dent-resistant! 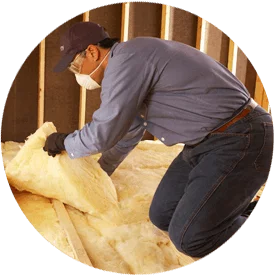 The team at Alpine Insulation works with builders, contractors and homeowners throughout the Milwaukee and Green Bay areas, helping with a variety of drywall and plaster services. All our plaster systems are hand applied, which offers a unique array of decorating possibilities. The bottom line is plaster says quality, durability, and classic style. If you need repair services, we can also help. From small cracks to more complex issues, we have seen and fixed it all. No matter your project requirements, you can count on Alpine Insulation’s experienced plastering contractors. Contact us to find out more about our one- and two-coat plaster veneer systems! We offer plaster services to Appleton, Eau Claire, Fond du Lac, Green Bay, Illinois, Kenosha, Kohler, Madison, Manitowoc, Menomonee Falls, Milwaukee, Mosel, Oshkosh, Racine, Sheboygan Falls, Sun Prairie, Waukesha, Wausau and Weston.